MyHorseForSale.com connects buyers, sellers, breeders and equine related services. We are committed to excellence, honesty, fair business practices, and doing our best to serve you! Our company’s customer service stands out as a leader in the internet equine industry. Buyers, find that perfect home for your horse! 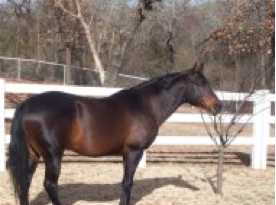 Sellers, find the horse you have been dreaming of! Thank you for using MyHorseForSale.com. We appreciate your business. Most web sites give you the technical resumes of the founders to justify their career experiences. I thought about telling you that I have 20 years of sales and sales management experience. My associate has 25 years experience in retail management. But then I thought why not just tell how this site really came about. It’s not about our accomplishments; it’s about the dream of one woman, her horses and her impact on my life. In 2002 my friend Sarah passed away after a short battle with cancer. She had spent most of her life raising and training horses. Horses were more than a way to make a living; they were her passion for life. Sarah had many friends who loved her and helped her thru her battle with cancer. I was just one of many who offered to help in anyway I could. It started out rather simply, just a request to take care of her horses till she got out of the hospital. When we learned that she would not be leaving the hospital, Sarah was faced with making decisions on where each horse would go. She gave a few horses to close friends. She also wanted a permanent home for her 20-year-old Stallion “Sleepy”, and to sell or find homes for the rest of her horses. My family and I made a few quick adjustments to our barn and paddocks and Sleepy, along with several other of his stablemates came home with us. As a life long equine enthusiast with 20 years of sales and marketing experience I felt I could find quality homes for these horses. Thus began the search for ways to sell or find homes for these wonderful animals. I had horses for sale! I placed ads on websites, newspapers and called everyone I could think of. What I heard over and over again was “can you send me a video”? So with thoughts of Sleepy, my dear friend and her wonderful horses as inspiration we began the research and design of MyHorseForSale.com. MyHorseForSale.com allows you to place ads and movie quality videos of your horses for sale on the Internet. This saves the seller time, effort and money mailing videos around the country and allows the buyer to instantly view the horse of their dreams. It is with the sincere appreciation of a woman and her horse that I dedicate this site to my friend and her wonderful horse “Sleepy”, for with out them or their inspiration we would not be here today. Sleepy joined Sarah in heaven in 2010 at the age of 28. MyHorseForSale.com…we hope it is your favorite site for marketing horses for sale or stallions at stud.